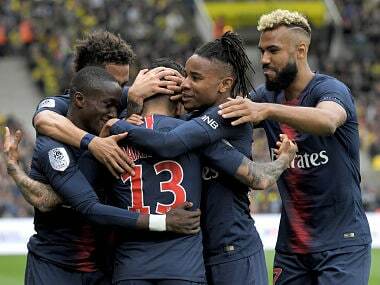 Paris: Kylian Mbappe played a decisive role on his Parc des Princes debut for Paris Saint-Germain on Sunday in a thrilling 2-0 win over Lyon with both goals accreditated to the visitors. Lyon's youngsters proved more than a match for PSG's multi-millionaires who had to wait until the last quarter of an hour before Lyon defender Marcelo deflected the ball into his own goal. 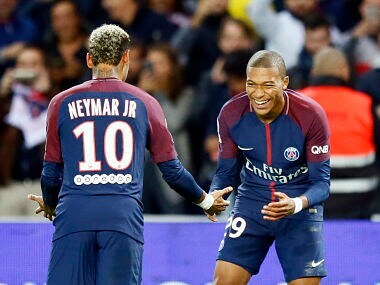 Then four minutes from time Mbappe rushed onto Neymar's assist with his close range shot bounding off Jeremy Morel to settle the electric encounter. This sixth successive league win pushed Unai Emery's side three points clear of defending champions Monaco who had maintained their title push with a 3-0 win over Strasbourg 24 hours earlier. Lyon's visit on paper had looked to be PSG's toughest test of the Ligue 1 season so far, and so it proved. Despite their 466 million euro strike force of Neymar, Edinson Cavani and Mbappe seven time former champions Lyon emerged with plenty of honour, if not the three points. PSG were restricted to just a handful of shots in the first period as Lyon's defence doggedly refused to roll over. 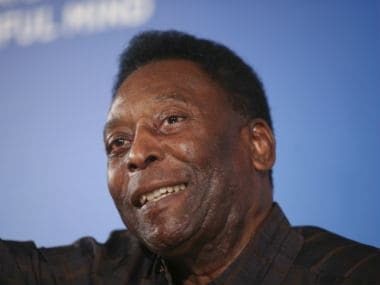 PSG's best chances came a minute from the break when on a counter attack Mbappe, appearing before his home supporters for the first time after outings at Metz and Celtic, fed Neymar with the Brazilian's rasping shot boxed away by Lyon keeper Anthony Lopes. On the restart Mbappe was switched to take Neymar's place on the right. The second half was only minutes old when Lyon striker Nabil Fekir troubled PSG keeper Alphonse Aerola with a tight-angled shot. On 55 minutes Neymar, brought down outside the box by Fekir, flicked the ensuing freekick over the wall only for a diving Lopes to parry the ball away from the top far corner. 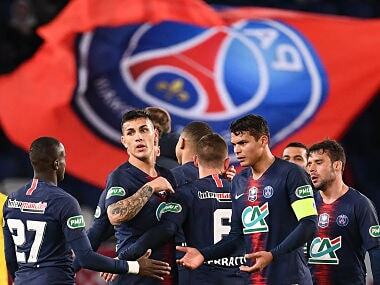 The PSG crowd then had its collective heart in its mouth as Lyon launched attack after attack on Aerola in the home goal in a thrilling passage of play. PSG captain Thiago Silva had to use his head to stop Lucas Tousart's header, then seconds later Tanguy Ndombele unleashed a superb strike from 30m which had sparks flying off the crossbar. On 72 minutes Emery introduced Giovani Lo Celso for Julian Draxler, and the move proved decisive when Lo Celso crossed from the left with Cavani nudging the ball towards goal with the outside of his foot before its deflection off Lyon defender Marcelo. Lopes then did brilliantly to save a Cavani penalty awarded after Ferland Mendy had felled Mbappe. Cavani struck the spot kick low and left with Lopes' intervention sending it ricocheting off the upright and to safety. With four minutes remaining and Lyon looking for a deserved equaliser Neymar passed to Mbappe with the 18-year-old Monaco recruit's close range shot hitting Lopes and bouncing off Morel into the Lyon goal. Lyon, losing for the first time this season, left Parc des Princes in fifth place, eight points adrift of the leaders. Lyon coach Bruno Genesio reflected: "I don't think there's a club in France that can compete with PSG for the title, but for one match, yes." Earlier a sizzling Mario Balotelli strike ten minutes from time gave Nice a 1-0 win at Rennes and Marseille pulled out of an early season slump when a Clinton Njie brace gave the ambitious southerners a 2-0 win at Amiens. On Saturday a revitalised Radamel Falcao grabbed a brace in Monaco's 3-0 win over Strasbourg and Saint-Etienne moved up to third with a 1-0 win over Dijon. 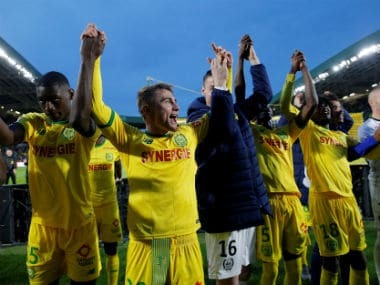 Nantes continued their good form under Claudio Ranieri, as they beat Caen 1-0 to make it four games unbeaten without conceding a goal while Bordeaux stayed unbeaten with a 1-0 victory at Toulouse.